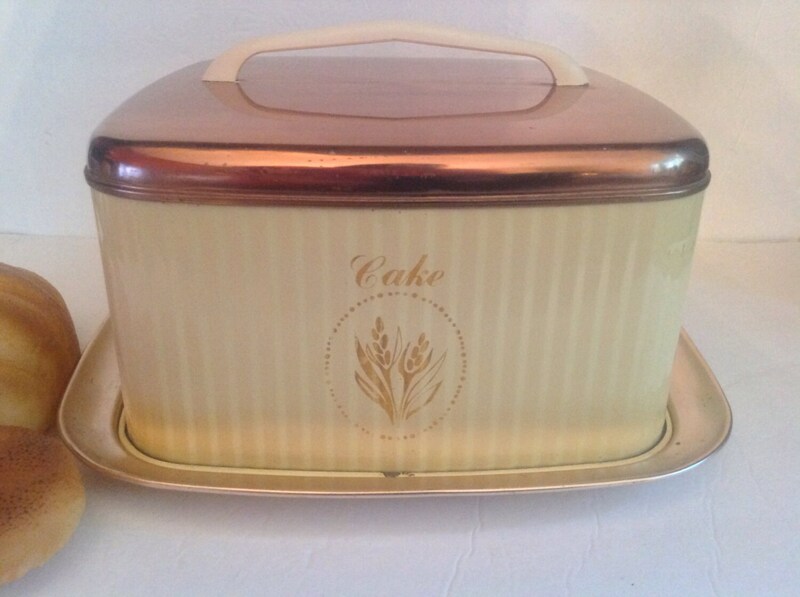 Love the graphics on this mid-century cake carrier! 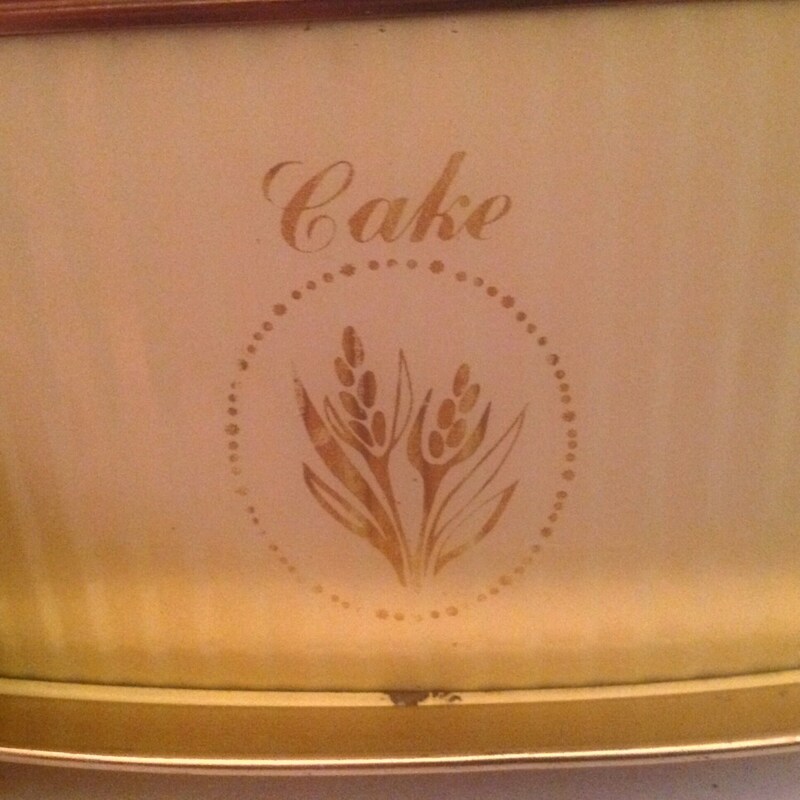 An encircled stylized wheat motif and the label "cake" in script just above it is too cute. 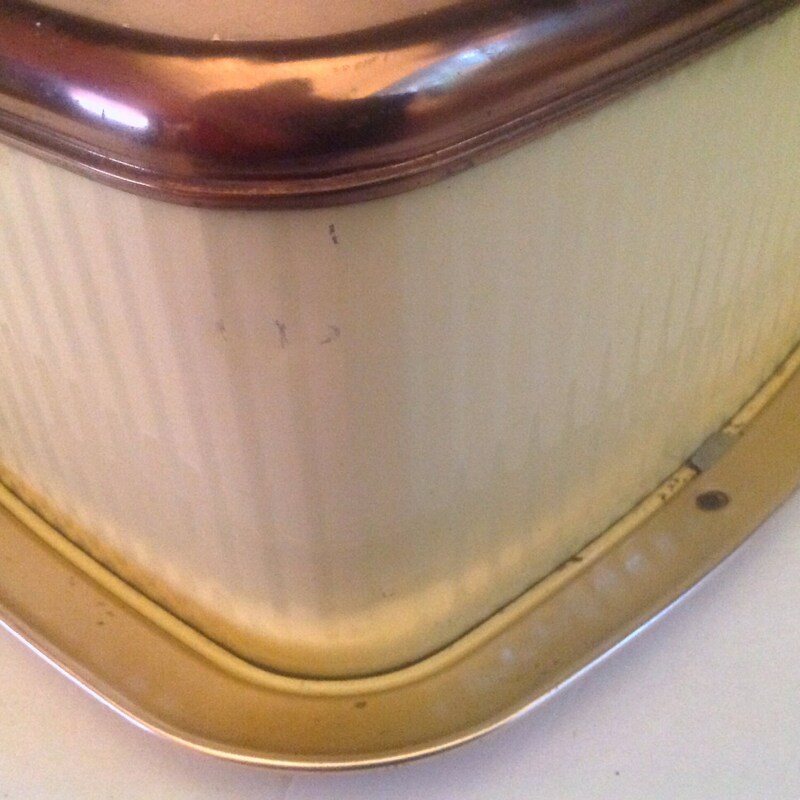 Corrugated metal in ivory makes up the sides. 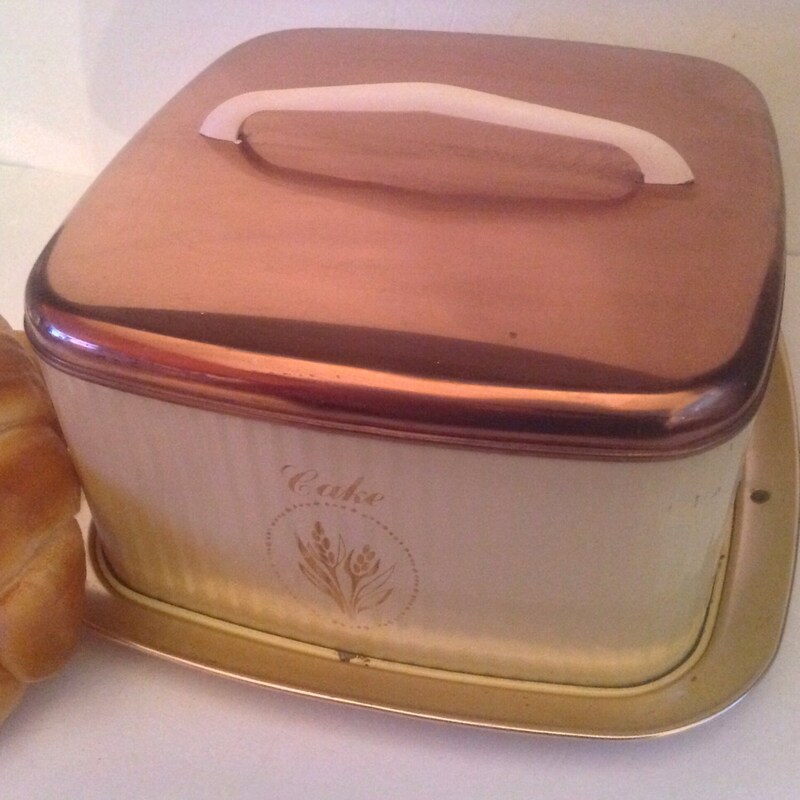 Both the lid and tray are copper tone metal. 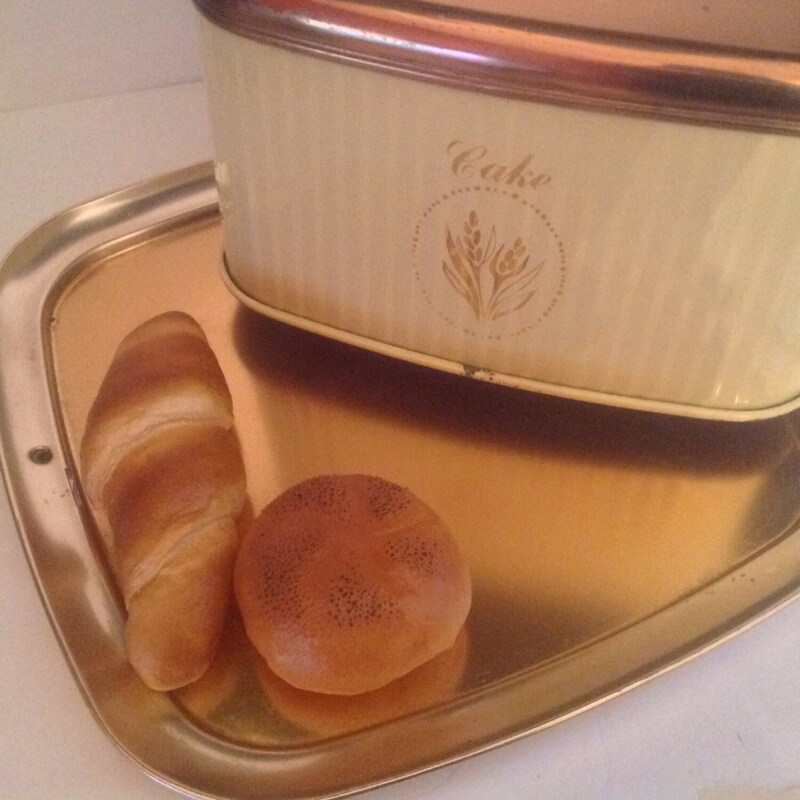 A molded handle tops it off. I see a few scratches and one small dent on the painted areas. Otherwise, very good condition, especially for its age. The copper is still very nice. Size: 13" x 13" x 7 1/2"